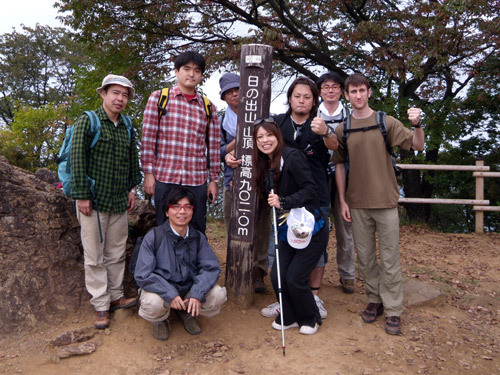 For September, the mountain climbing club went to the top of Mt. 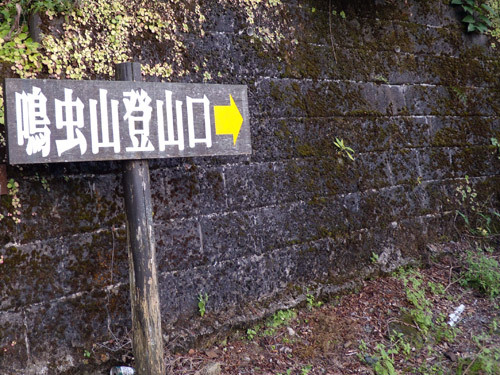 Mitake and from there to Mt. Hinode. It was more of a nice hike than mountain climbing, but it was still nice to get out during the time when the trees are just barely starting to change colors for the fall. 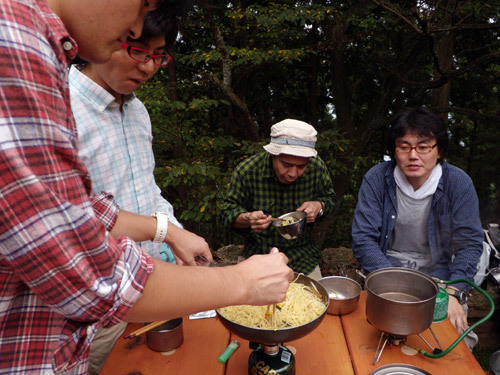 Lunch was Yaki-soba, lots and lots of it. Heading down to the onsen. 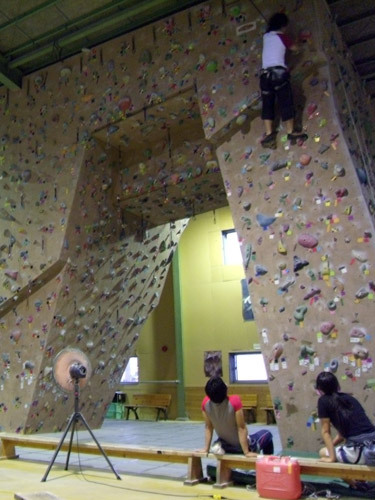 For the last day of the break I decided to go check out a rock climbing gym I found that is fairly close to were I live. 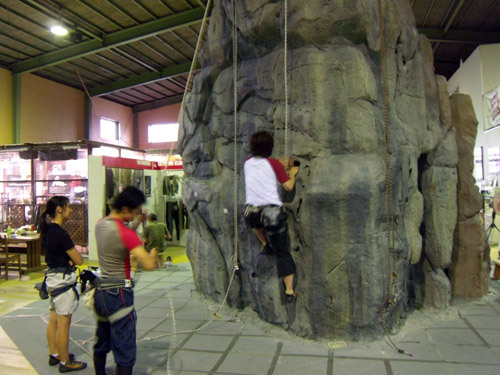 It is not as high or as cheap as the one I went to in Okinawa, but it is pretty spacious and there are various walls to climb and have fun on. 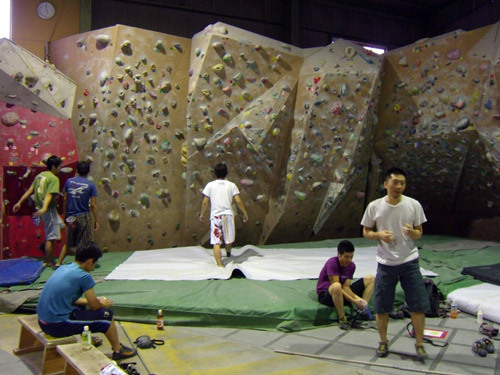 It had been a long time since I had climbed and done bouldering, and for the next few days my arms hurt. Yet, next chance I get I will go back and climb some more. Monday, Tuesday, and Wednesday were Japanese holidays, so I was off work. 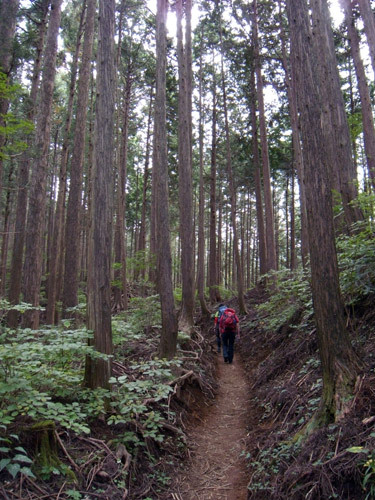 For Monday, my plan was to go up to Nikko and spend two days climbimg Mt. Nantaisan near Chuzenji lake. 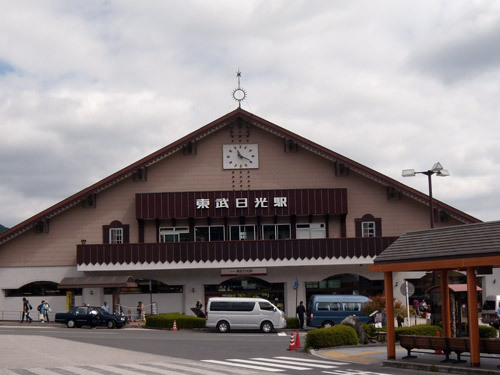 However, when I reached Nikko station my plans soon changed. Because of the long weekend and because Japan has so many people Nikko was extremely crowded. What is usually a 40 min bus ride to the lake turned into a 4 hour traffic jam. Cars ran in a line all the way through the city and even backed up to the highway exit. 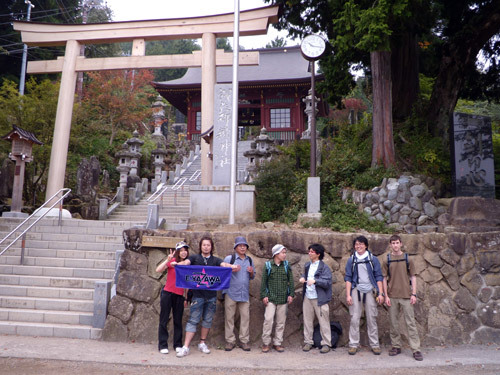 I thought it would be better to make it a day trip and climb one of the small mountains around Nikko city. After looking at the map, I choose Mt. Nakimushi which translates to singing insects mountain. It has been a long time since I have been to Nikko. 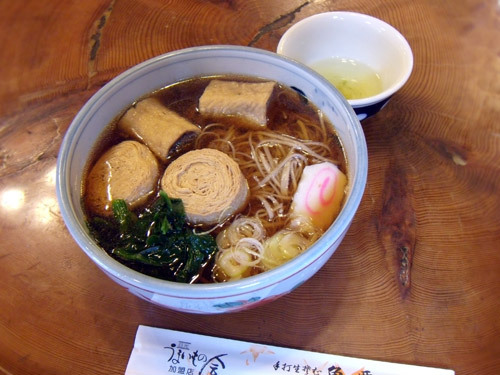 Before climbing the mountain I had a lunch of yuba soba, one of the famous foods in Nikko. 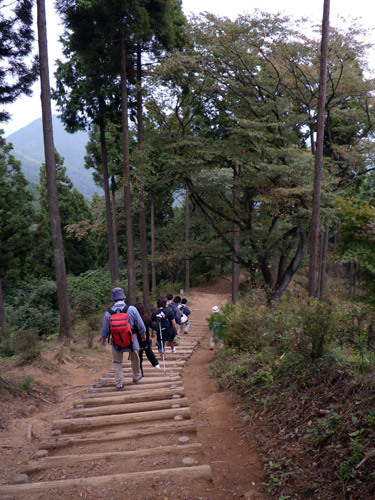 The way to the mountain trail. The only 2 other people I met on the mountain. They too wanted to climb Mt. Nantaisan and they too gave up and climbed this one. 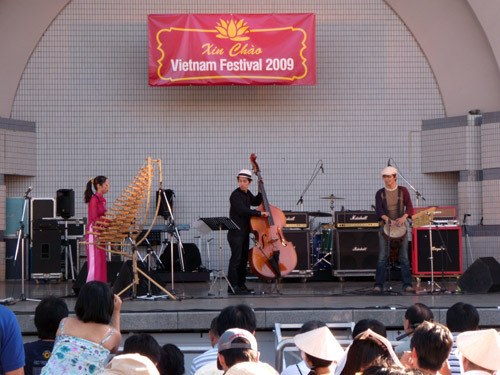 Very similar to the Thai festival I went to a few months back, the Vietnam festival is not as big but still quite interesting. 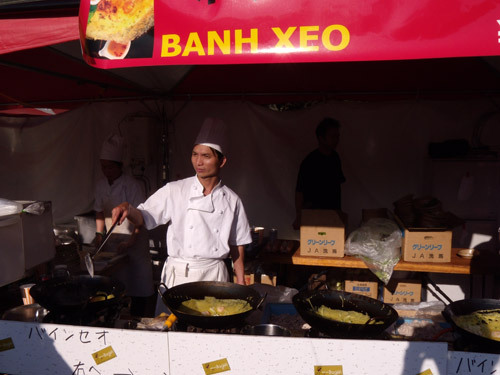 It was less crowded than the Thai festival and actually a nicer atmosphere with lots of Vietnamese people around dressed in their rice hats and beautiful dresses. A band playing some traditional music. I forgot was this is called, but I ate it when I was in Vietnam and it was pretty good. Of course we also ate Pho. One of the strangest mascots I have ever seen. 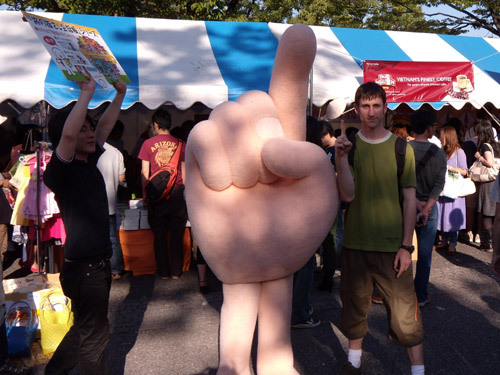 Im still not sure what it is a mascot of. 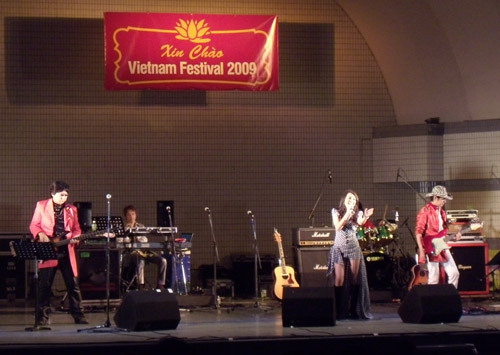 In the evening a fairly famous singer from Vietnam also held a concert. I couldnt understand the words but she had a nice voice. Will I actually be in Japan 3 more years?? 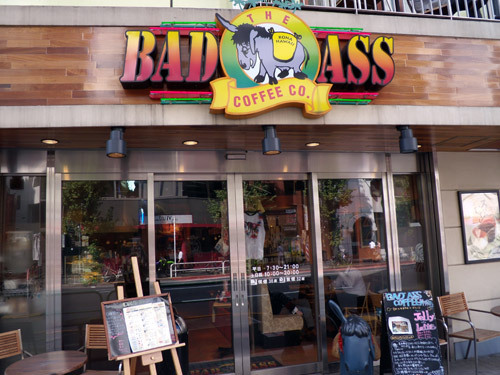 If I drank coffee, I might just go here. 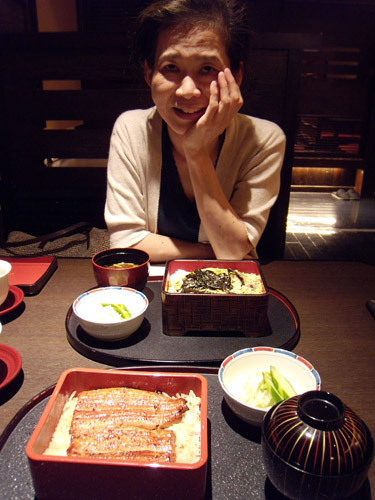 Almost every year I have eaten Unagi on Unagi day with my old coworker from ECC. 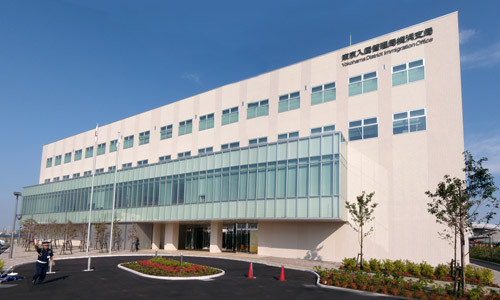 This year, unfortunately, we were unable to meet on the day. Although a bit late, we finally went to go eat some delicious unagi. 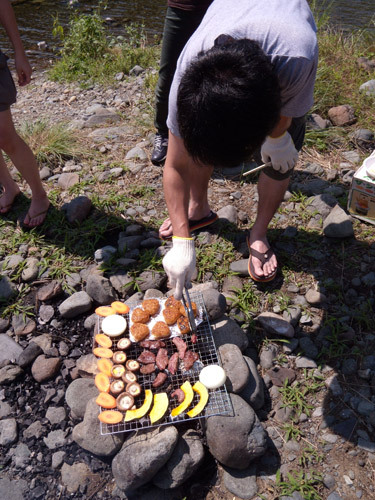 One of the summer events with my futsal club was a nice BBQ at the river. The weather was great, the water was cool and the food was good. We built a rock fire pit, put a grate over it, and cooked various meats and vegetables. We traded off cooking and floating down the river when we got hot. 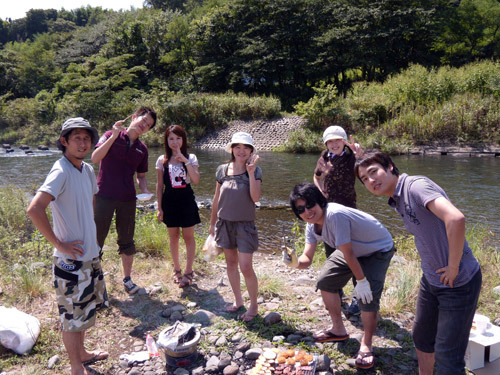 Lastly, we ate a large watermelon that we chilled in the river. The huge praying mantis pose. 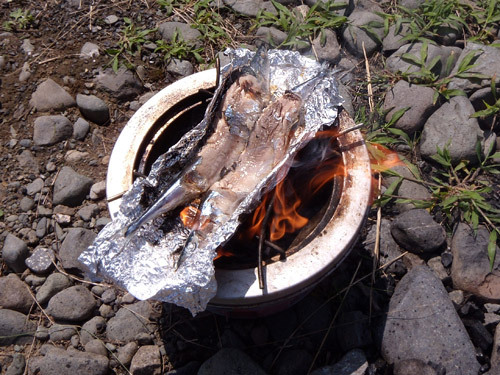 Oh, since we were at a river we fried up some fish as well.